After her presence at the last Duesseldorf boat show, Swan 65-101 Cuordisole has arrived in Badalona at our Authorised Service Centre EMV Marine. Thanks to a great work between our Finnish and Spanish teams, she is now in the water, getting ready to sail! Part of the EMVmarine boatyard team and Nautor Palma Service are at #nautorswan facilities in Finland for a week looking on the last boats in production to be ready for the upcoming commissioning season. EMV Marine added 15 new photos — with Matias Deleo at EMV Marine. Right now on hard; Swan 82-103, Swan 601-005 and club Swan 50-021 mast ready to work. Swan 82-103 mast unstep today by our dedicated rigging team. EMV Marine updated their cover photo. Nautor's Swan 90-709 mast stepped yesterday by the EMVmarine Rigging team. The mast was checked and fitted with an new carbon lateral rig with the technical advice of Offshore Spars. Swan 90 Nefertiti and Swan 90 Strathisla mast on hard servicing to be ready for the upcoming season. Part of the EMVmarine are in Palma SuperYacht Show to attend you un our stand SY44. Show time!! Emvmarine is present at Palma SuperYacht Show on stand SY 44. Visit us to talk about your needs for repair or refit. Everything ready for the Palma SuperYacht Show starting tomorrow. Come to visit us at stand SY44 to discuss your needs for a refit or repairs. We re very happy to welcome you. The mobile team is back from Gandia after Mast ORC measurement and mast stepping onboard Swan 42 Daring Sisters arrived from USA and ready for the summer mes regattas. What a really good team!! Swan 48-001 Ready to be launch for the summer season. We're very proud to joint ABBRA​(American Boat Builders Association). EMVmarine is the first boatyard in Europe to joint ABBRA and we're very sure that the collaborations between booths sides of the Atlantic will be very productives. Part of the EMVmarine - Nautor Swan Service Center is in Finland for a training week at the Nautor Swan Boatyard. We re very proud to be part of the Nautor family year by year. Steyr engine onboard Swan 80-104 going out for a full service before the season. Today we feel more close to our Finish eldest brother while we was stepping a Swan 80 and start to snow in Barcelona!!!!!! A very productive last week in Fort Lauderdale with ABBRA (American Boat Builders Association) during Abbra Project Management certification and Boatyard tour. Good time time to share experiences with our American colleagues. EMV marine team Christmas dinner. Such a great team! A very big thank you to all EMVmarine team for his passion on the job growing every year and giving better service. Thanks too, to all of our customers, subcontractors and everyone else who made 2017 a great success. Swan 90-707 was hauled out two weeks ago and right now we're working in all the deck fittings and hardware to start to paint in a few weeks. EMVmarine team is finishing the three days meetings with suppliers at METS trade show. EMV Marine added 8 new photos — at EMV Marine. Right now on hard we're working on the mast of a 80ft custom, a Swan 80, a Swan 90 and a Oyster 82. Next week another Swan 90 rig will be pulled out. Swan 80 -104 Dark Horse Unstepped last week. EMVmarine as authorised Nautor's SwanService Center is attending all the Swans fleet during this week at the The Nations Trophy Feel free to contact directly to our team on the workshop van. Very productive meeting with the joinery department at Nautor's Swan defining the interior refit for a Swan 90. More news coming soon. If you re around Monaco and you re thinking into refit your Swan or planning the winter maintenance just stop at the Nautor booth and talk about it. Monaco Yacht ShowNautor's Swan ready to rock at the Monaco Yacht Show. Come see the stunning Swan 95 'Lot 99' in the riviera sunshine! A fantastic week onboard Swan 90 Nefertiti taking the 2nd place at the Maxi Yacht Rolex Cup in Porto Cervo. Great boat and a really good team. Swan 54-002 unstepped and loaded into the truck for his way back to Germany. 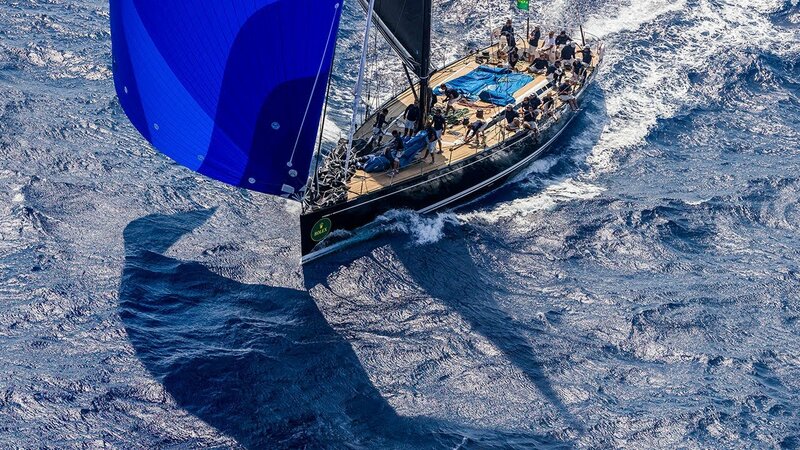 Swan 90-709 Nefertiti on the latest preparations for the incoming Maxi Yacht Rolex Cup. 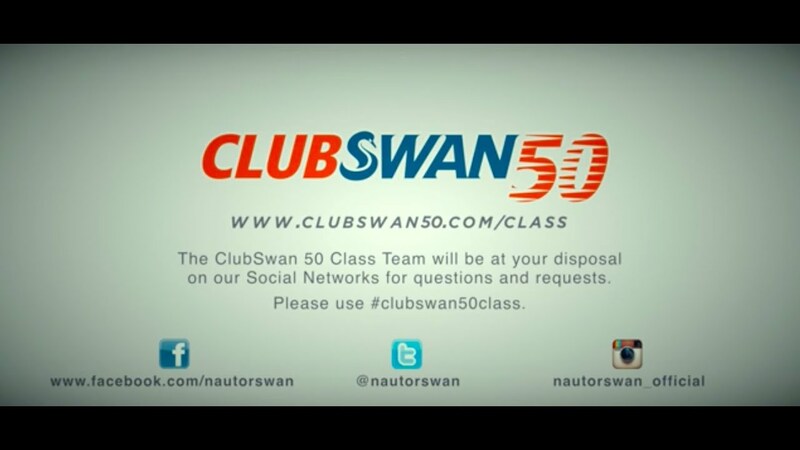 ClubSwan 50 being ready for the next Nations Trophy. EMVmarine Customer Care Departament organize Shippings and logistics four our customers that need the service. This dinghy is for Swan 56 . Swan 56 Intrigue final jobs before the boat leaves to enjoy the Balearics for some weeks. Swan 86-04 was stepped last week after full rig refit and mast paint in our dedicated mast paint shed. In a few days the boat will be ready for his summer season. 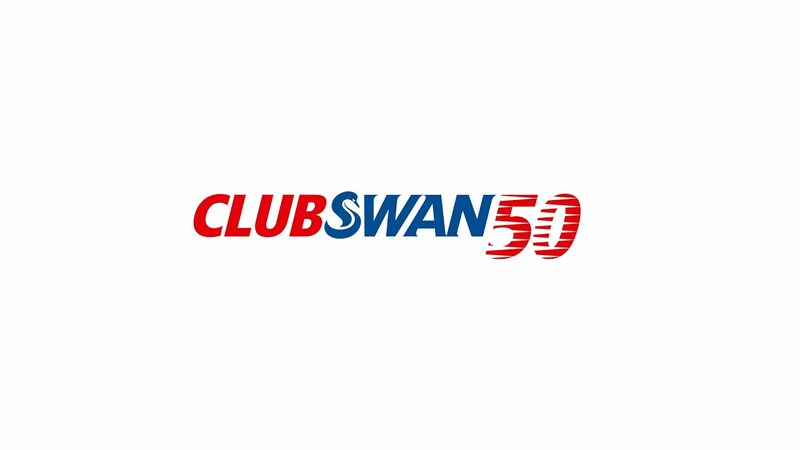 Big Kick off yesterday for Swan 90-706 Leonara. She was hauled out, rudder drop and blocked into the paint shed for a intense summer refit period. More updates coming soon. Swan 80-102 Sapma back to the water after winter period of hull and deck paint job and with the deck hardware back onboard. Working in four Nautor's Swan mast at the same time. S Swan 86 Dreamland mast and Swan 60 Ganesh just left the mast paint cabin, Swan 90 Leonara is ready to be painted, and Swan 80 Sapma mast waiting for step. Swan 90-709 Nefertiti, Offshore Spars mast was steeped last Friday by the EMVmarine riggers team after a in house full winter refit, BSI rig service and new clear coat. Mast is upgrated with a new lock system for the Code0. Commissioning of the brand new ClubSwan 50 -009 at Nautor's Swan Service Center EMVmarine in Barcelona. 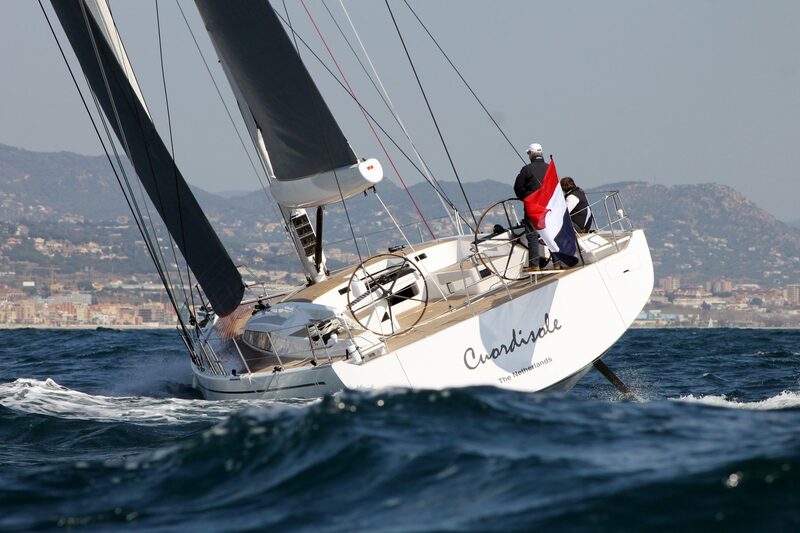 Boat will be taking part at Palmavela with a total of 5 of this stunning boats. #EMVmarineboatyardlife. Swan 65-033 Libélula back to the water. This stunning Swan was awarded last Swan Cup with the best refit prize. The refit was done at EMV Marine during last winter. Swan 48 Amoress and Fantasy 44 Remedy mast step back last week at EMVmarine. Offshore Spars Swan 90 -709 Nefertiti is leaving the masts paint shed. Swan 77-009 Tugela teak jobs. 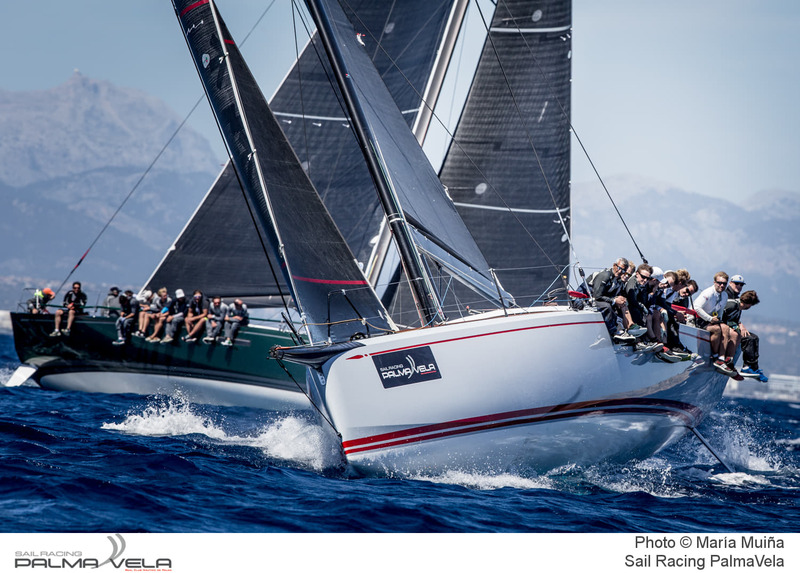 Rolex Swan Cup Caribbean is right around the corner. Great excitement for the event at YCCS Clubhouse & Marina Virgin Gorda, BVI for the Swan fleet to dock in less than one week. Let's the Caribbean party begin! 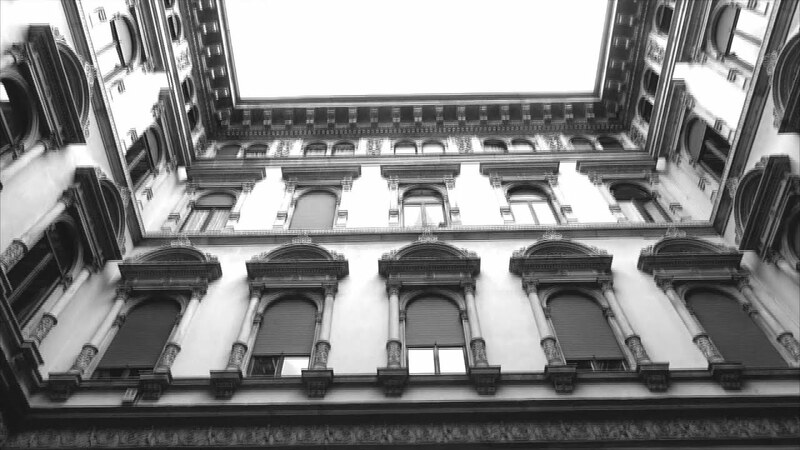 Photo (c) Carlo Borlenghi/Nautor's Swan. EMVmarine was visiting Miami International Boat Show and this week will be in Fort Lauderdale. Jobs onboard Mirabella III progressing well. This week Swan 86 Dreamland mast unstep for a full rig reffiting. Desarboladura del Swan 86 Dreamland para reemplazo de Jarcia. Two of the EMVmarine projects managers are Nautor's Swan looking for the last boatbuilding techniques and training week. EMV marine boatyard team at work. Swan 65-030 Six Jaguar progressing well with the teak replacement. Progresando con el reemplazo de la teka del Swan 65-030 Six Jaguar. EMVmarine team is back at work with full commitment on the 2017 projects. Swan48-001 Amoress Mast unstep for a winter rig check and service. Some of our Project Managers finished three days Of meetings at Metstrade . Feel free to contact us for the last novelties on the industry. EMVmarine was working last months onboard Swan 100 Muzuni for a Rudder bearing and Bowthruster service. good morning! to day start with Valdettero 112 mast step! At Monaco Yacht Show with Nautor's Swan 115 Shamanna. Mirabella III mast ready to be step this week. Swan 65-033 Libeula refitted at EMV Marine won the "Best Maintained Swan" Trophy during #rolexswancup. We're very proud of this trophy and the confidence of his owner. 4 cranes right now on the boatyard. -SY Ree Valdetaro 112 mast unstep -Swan65 - Yasha launching for Swan Cup -Mirabella III scafolding dismount and machinery setup. Keep tuned for more pics. EMV Marine added 5 new photos to the album: Italia 9.98 Successfully disassembled and packaged for shipping t — at EMV Marine. Firsts sea trials for swan 65-033 Libelula after a 7 months refit. Last details for the delivery to the owner. EMVmarine at Oras Swan 50th Anniversary Regatta where 107 beatifull Nautor's Swan are sailing around the Turku archipelago. 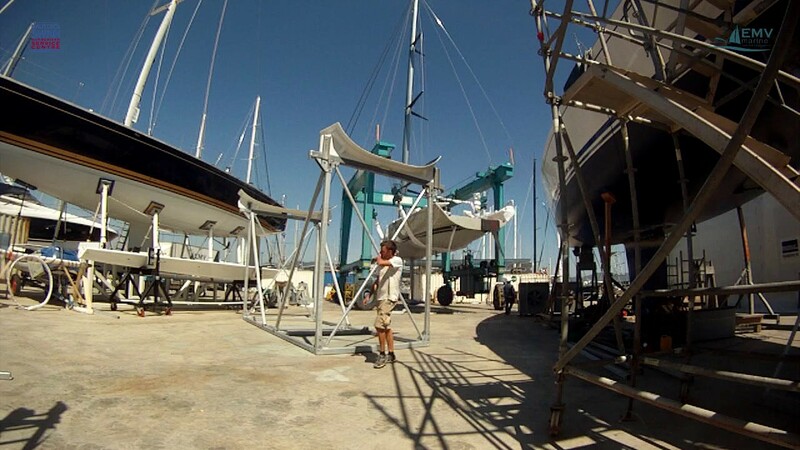 Brand new Italia Yachts 9.98 was assembly during las weekend by the EMVmarine team to be ready for the Copa del Rey. Swan 77 Tugela being ready for the season. Jongert 42m Passe Partout mast step last March. El domingo 12 de Junio de 11:30 a 13:30 haremos un encuentro en el puerto de Badalona ( capitania) para limpiar las playas de Badalona. #medioambiente #playabadalona ¡Os esperamos! A EMV marine team is in Tarragona on a Swan 68 helping the crew of the of SevenStars Eemsgracht during the unload operation. Swan 68 Volpaia. One of our riggers team travel to la Coruña for a rig check onboard Volpaia after his first miles after the mast step last May. Everything in place. Getting ready Swan 90 Nefertiti for tonight ORC measurement for next Swan Cup. Swan 56 Yasha and Swan 65 Six Jaguar starting four days training session for next Swan Cup after finish the boat improvements during the winter. Swan 40 Blue Chip and Swan 46 Amoress getting beauty. Un grupo de alumnos de Ingeniería de la Facultad de Nautica de Barcelona, visitaron esta semana las instalaciones de EMVmarine para concert de primera mano los trabajos que se realizan en un centro de Refit and Management. Facultat de Nàutica de Barcelona. EMV Marine shared Nautor's Swan's photo. Working on a new dinghy crane for Swan 68 Volpaia. EMV Marine added 8 new photos to the album: Swan 68 Volpia mast step — at EMV Marine. EMV Marine added 8 new photos to the album: Swan 65 Six Jaguar mast step — at EMV Marine. Ubi Maior Italia - Attrezzatura di coperta. Code Zero furler and blocks for Swan 68 Volpaia. Swan 90 Nefertiti out of the water for rudder bearing service and bottom paint. Swan 56 Yasha back to hard for an intensive preparation for the Swan Cup. Swan 57 Abracadabra, Swan 65 Six Jaguar and Swan 68 Volpaia masts at the yard being ready. After winter hull painting and rig and mast service Jongert 42m leave EMVmarine for the summer season. Fair winds to the crew! Great Caribbean fun! 12 Swans are taking part to the Swan Caribbean Rally (BVI), while 2 Swans are racing the 2016 St. Barths Bucket Regatta (Antilles). Well done to Swan 90 Freya, which is now leading Class D "Les Mademoiselles des Mers". EMVmarine is looking for Riggers and mechanic engineers. Send your CV to info@emvmarine.com to apply now. Swan 65 Six Jaguar ready after bottom paint. EMV Marine added 6 new photos to the album: Steeping Swan 82 grey Goose Mast — at EMV Marine. EMV Marine added 7 new photos to the album: Starting the week at EMVmarine Nautor Swan Spain. EMV team at Navtec Europe for a Hydraulic training and certification. EMV Marine added 22 new photos to the album: Mirabella III unstep — at EMV Marine. Mirabella III at EMVmarine for winter refit. Part of the EMVmarine-Nautor Swan Spain team at Pietaarsari during a training week. EMVmarine team is back after a holiday break fully dedicated to deliver the projects for next summer. El equipo de EMVmarine les desea unas felices fiestas y un 2016 con buenos vientos. EMVmarine Team wishes to you Merry Christmas and a fair winds for 2016. EMV Marine added 6 new photos to the album: Swan 40 Blue Chip out of the water — at EMV Marine. EMV Marine added 15 new photos to the album: Unstepping Jongert 42m — at EMV Marine. EMV Marine added 9 new photos to the album: Jongert 42m mizzen mast unstep — at EMV Marine. At Nautor's Swan for the 2015 agents meeting. EMV Marine added a new photo. Good morning! Enjoy this sunny day! Buenos días! A disfrutar de este soleado día! ¡Ayer empezó la 54ª edición del Salón Náutico Internacional de Barcelona! Si quieres asistir, sólo tienes que decírnoslo y en EMV Marine te damos tu invitación. Yesterday began the 54th Barcelona International Boat Show! If you want to attend, just tell us and EMV Marine gives your invitation. EMVmarine-SwanSpain in Palma Mallorca checking Swan 57 for his delivery to Barcelona for winter full refit. EMVmarine-Swan Spain dejando listo Swan 57 para su delivery a Barcelona para el refit de invierno. EMVmarine starting winter season EMVmarine empezando temporada de invierno. 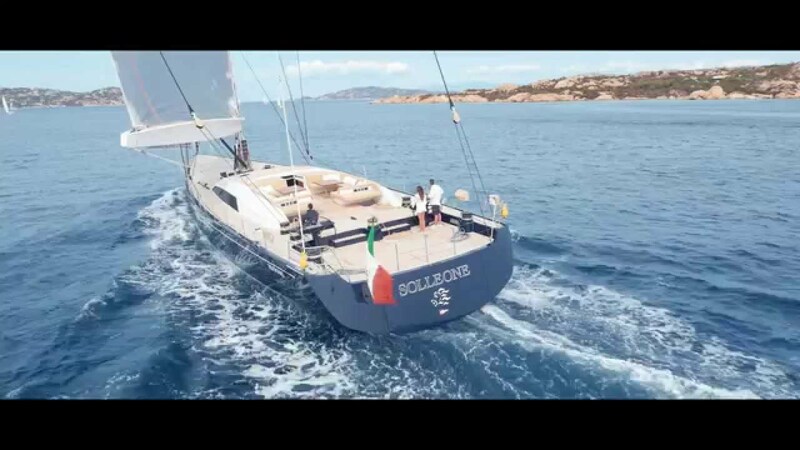 The ClubSwan 50 was unveiled at the BMW Yachting Cocktail last Wednesday evening during Les Voiles de Saint-Tropez. Here are some images of the event. #ClubSwan50 #BMW Photos: Ricardo Pinto/Nautor's Swan. At Monaco Yacht Show in Nautor's Swan . Swan 115 presentation. Working in lifting strops, mooring lines, short towing lines, working load test and captive soft shackles. ______________ Trabajando en estrobos de elevación, amarres, líneas de remolque cortos, prueba de carga de trabajo y en grilletes suaves cautivos. EMV Marine added 7 new photos to the album: Unstepping NAUTOR'S SWAN 46's mast — at EMV Marine. EMV Marine added 12 new photos to the album: Unstepping SWAN 65's mast — at EMV Marine. Entre uno de los tres Swan 65', un Swan 56' o un Swan 77', ¿con cuál te quedarías? EMV Marine con todos! EMV Marine added 7 new photos to the album: Keep Calm and Enjoy Friday on EMV Marine! — at EMV Marine. EMV Marine added 18 new photos to the album: Fitting SWAN 80's mast. Today is July 4th but Steve King from Offshore Spars is here to help us on the new Swan 80 mast. Hoy despidiendo a tripulaciones después de largos trabajos. Ánimo con la temporada! En la base de EMV Marine los chicos preparando la llegada de nuevos barcos,trabajando en reparaciones de mástiles, hidráulica, reparaciones en proa, pintura en cascos, reponiendo nuevos cabos y terminando refits, trabajando duro para la temporada de verano. El equipo de EMVmarine se alza con el segundo puesto en la Rolex Fastnet Race. Pruebas de Mar - Por fin al agua!Sea Trials - Finally the launching!